Do you ever feel overwhelmed trying to keep up with the latest in web design? If your actual work is taking up so much time that you just can't keep up with your emails, blog reading, books etc, then how are you going to grow as a designer? Finding the time can be tough. That's where Great Design Details comes in. And it's free. You'll get a free email every Monday to Friday analysing great design details. Each one only takes about a minute or two to read so they can fit into your busy day with ease. You'll receive an email every work day which only takes about a minute or two to read that gives you a quick look at a great design detail found "in the wild". "Good design is thorough down to the last detail"
Legendary designer Dieter Rams lists that as one of his ten principles of good design. Charles Eames, another legendary designer, agrees: "The details are not the details. They make the design." Great Design Details is about exactly that... the details. And I'm talking about the truly great details. The ones that come from the best of the best and are in use across the design world right now. The price range design is a great example of getting the most out of UI design. You may think it's just a single UI element but they've packed more value into it without complicating it. Slider design: It would be easy to design the price range with two min price and max price dropdown lists and be done with it but that wouldn't be in keeping with Airbnb's great design. The affordance of the slider design indicates you select the min and max prices by dragging the handles at either end. Average price: It's extremely easy to get an idea of the general prices in the area you're searching in thanks to the inclusion of average price and it sits neatly halfway along the price range. Graph of prices: Sitting on top of the price range slider, is a bar graph of prices which makes it easy to quickly filter out the more expensive options. All you have to do is drag the right handle to the left of the cluster of prices to filter them out. That's just a short example of a great design detail that's actually an extract from an in-depth design analysis I carried out on the entire airbnb website in the Masterclass version of my book, Learn from Great Design: Volume 1. Sign up below to get many more sent straight to you for free. 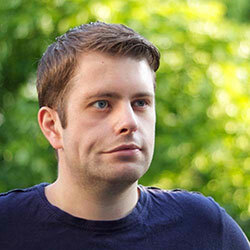 Tom Kenny is a design consultant from London with over 7 years experience of designing for the web. During that time, he has designed websites millions of people have used. The biggest company he has worked with now have over 4 million users. He writes regularly on his personal web design blog for over 10,000 email subscribers and his work has been featured on Smashing Magazine, Creative Bloq, Treehouse and WebdesignerDepot amongst others.